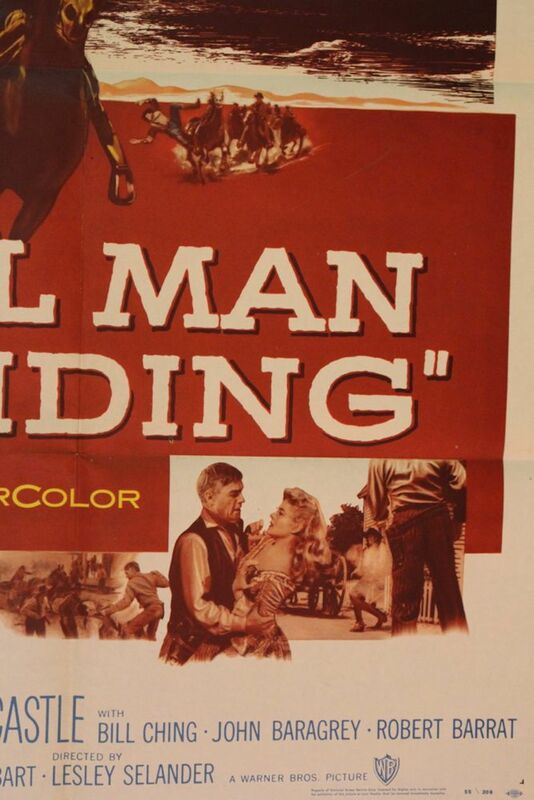 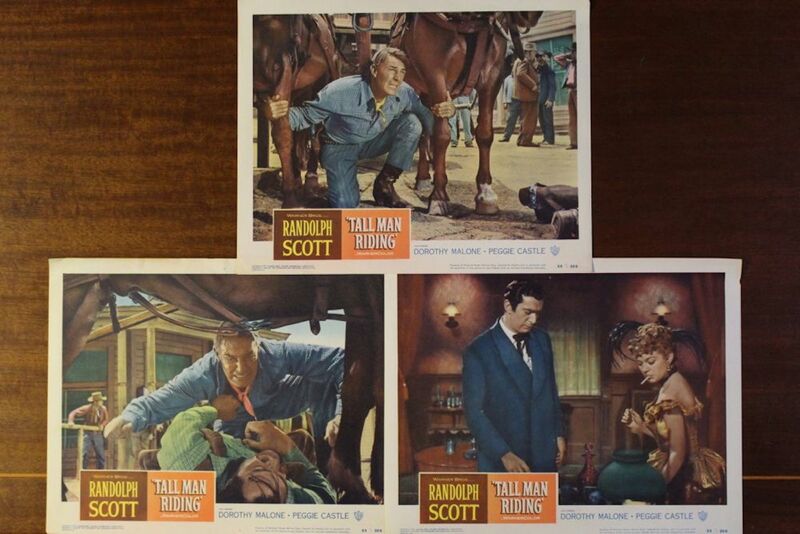 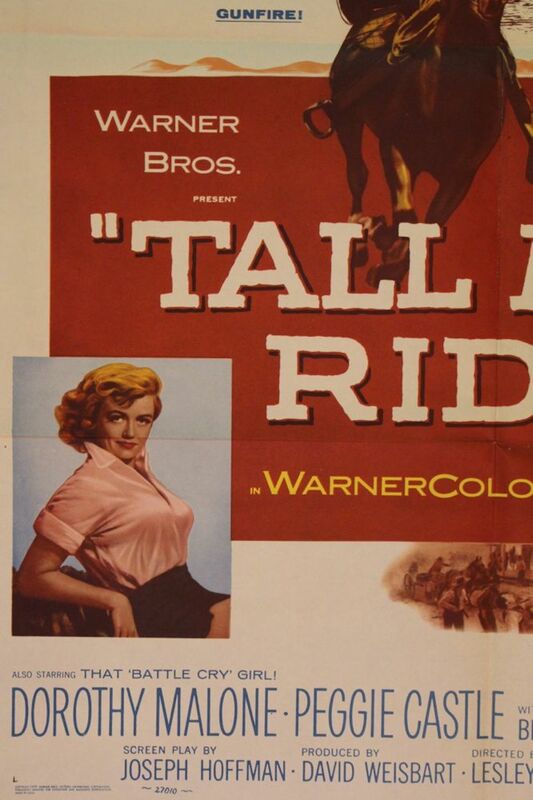 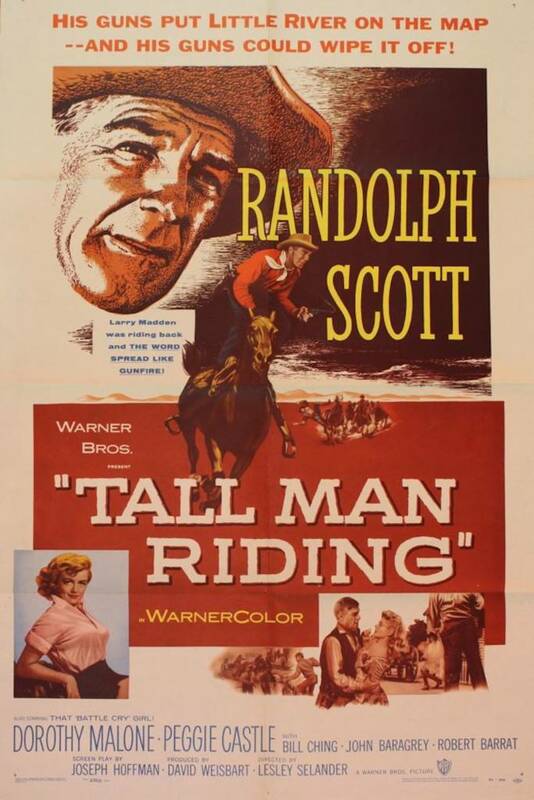 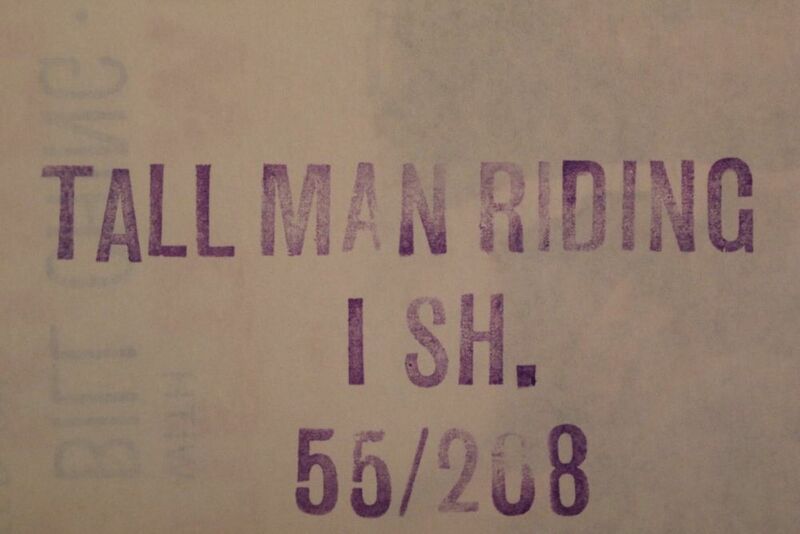 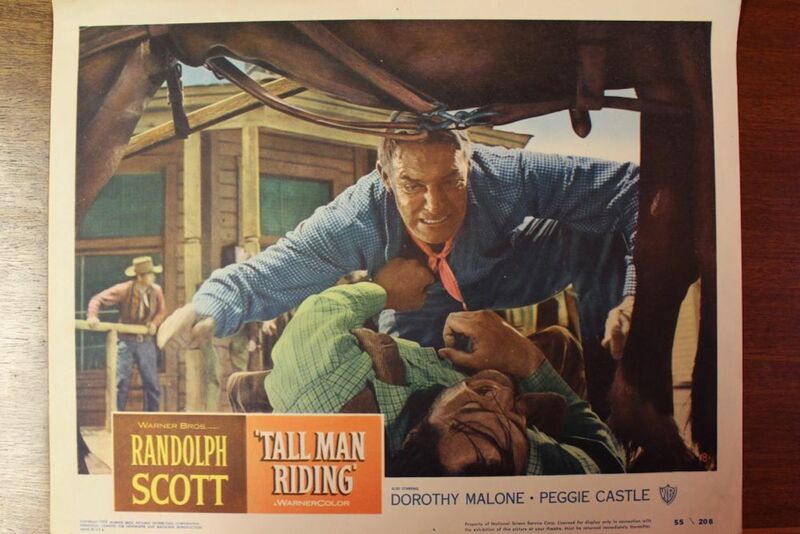 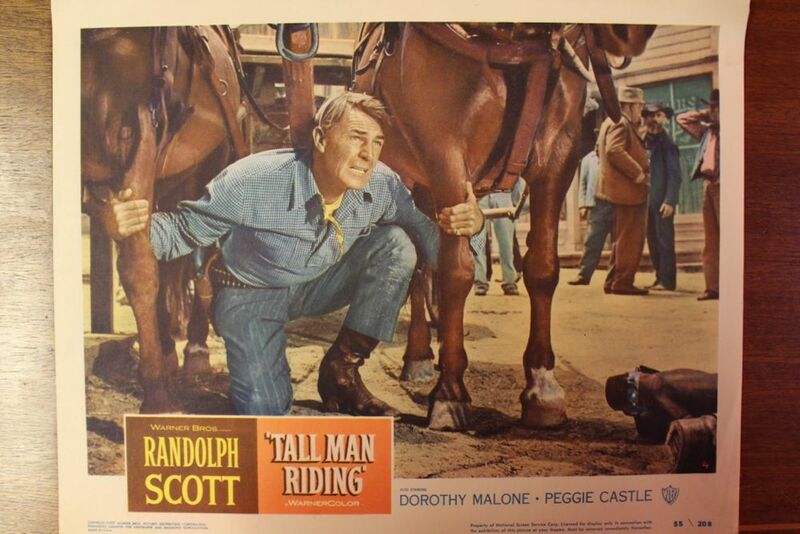 Original studio stamped Tall Man Riding (1955) movie poster and 3 original lobby cards. 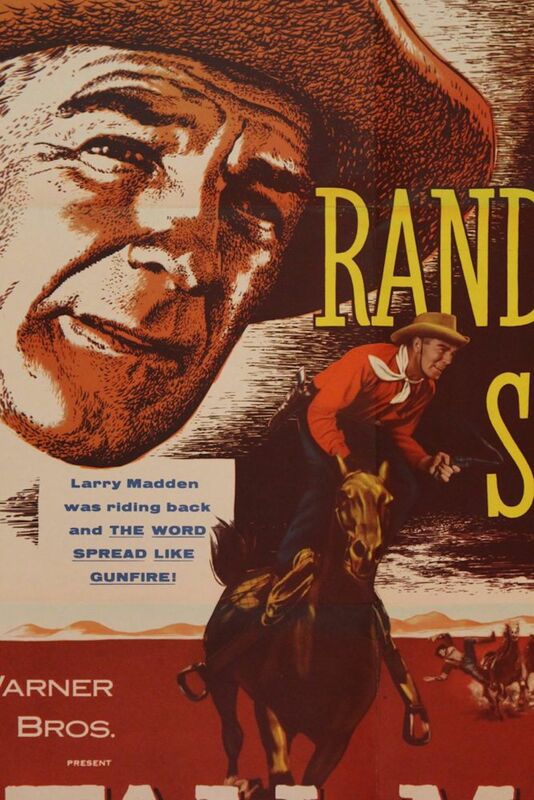 Plot: Cowboy Larry Madden (Randolph Scott) returns after several years still vowing to take revenge against ranch owner Tuck Ordway (Robert Barrat) for publicly whipping him and humiliating him years earlier and breaking up his relationship with Ordway’s daughter. 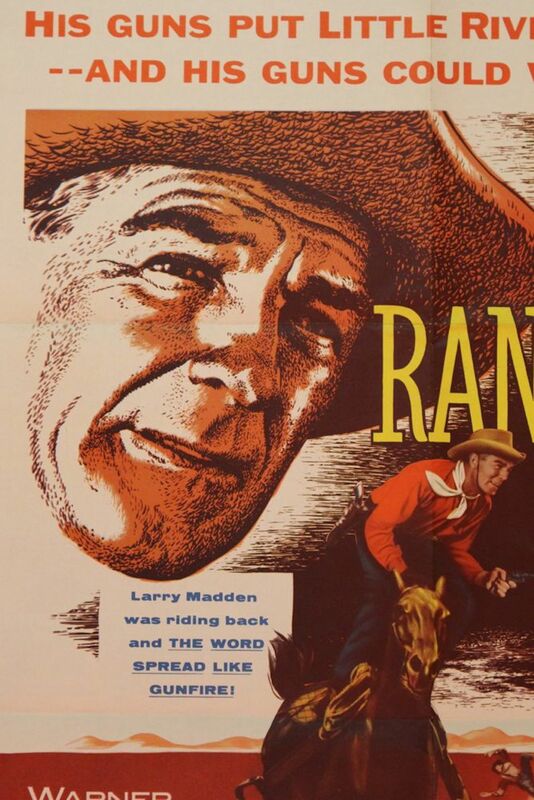 Larry Madden plans to oust Ordway from his ranch by having his claim to the land declared invalid. 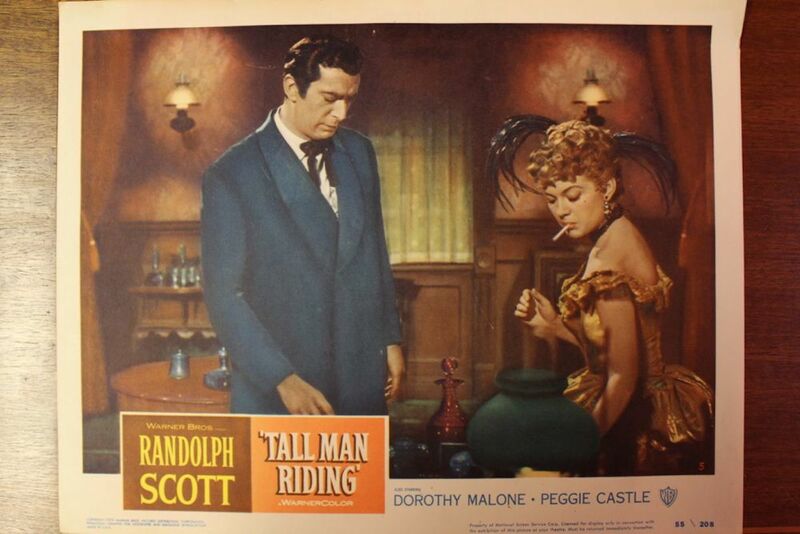 Ordway’s daughter Corinna (Dorothy Malone), believing Madden to be the cause of the family’s recent misfortunes, is unaware that the local saloon owner also has designs upon the Ordway holdings. 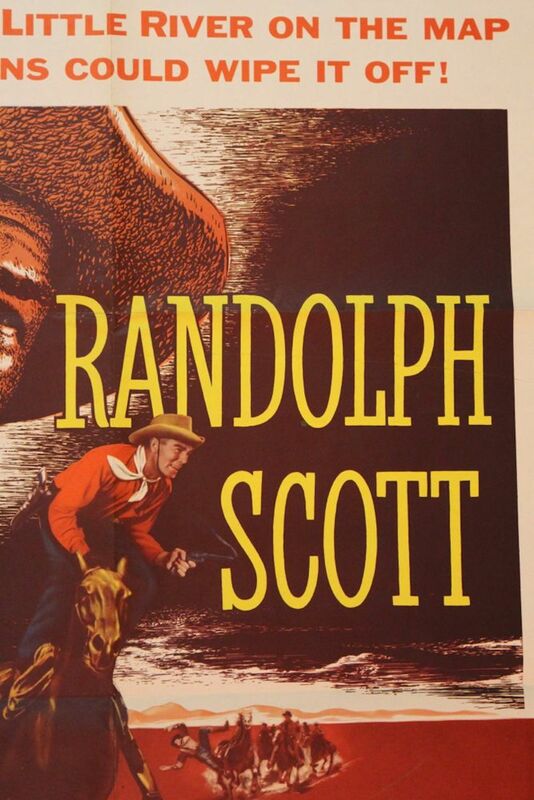 See more: Collectables, Unique Wall Art, Vintage Décor, Vintage Home Décor.